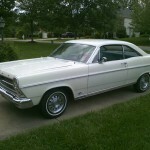 The Fairlane was produced by Ford from 1955 to 1970. 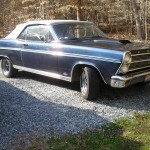 Initially introduced as a full-size car, the Fairlane served as Ford’s intermediate sized car from 1962 until it was replaced by the Ford Torino. 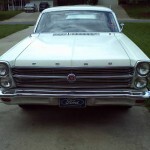 The fifth generation Fairlane was intorduced in 1966. 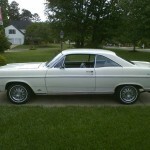 Ford revised the Fairlane in the image of the full-size Ford Galaxie, which itself was restyled in 1965. 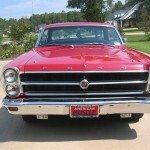 For 1966, the Fairlane was available in a range of sedans, hardtops and station wagons. 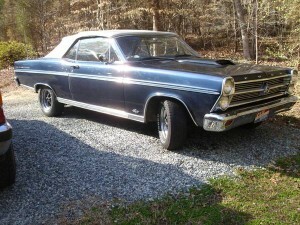 Special packages included the Fairlane XL, GT and GTA. The new Fairlane received a new front-end with vertically stacked dual headlights. Two different two-door coupe models were offered. 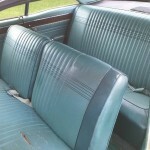 The lower end Fairlane Club Coupe had pillars around the rear windows. 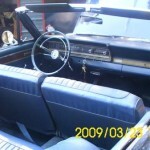 The higher end coupe was a pillarless two-door hardtop, similar to the convertible. Ford also reintroduced the Fairlane Squire wagon for 1966. 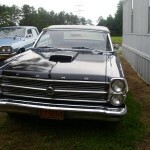 The Fairlane GT and GTA featured a 390 cubic inch V8 standard. 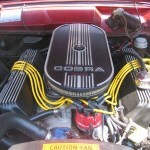 The 390 engine developed 335 horsepower and had a four-barrel carburetor. 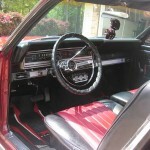 The Fairlane GTA offered Ford’s newly introduced SportShift Cruise-o-Matic automatic transmission. 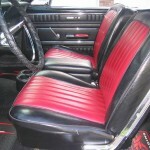 For information on other Fords, see the posts on the 1968-1969 Ford Torino or the 1964 1/2-1966 Ford Mustang. 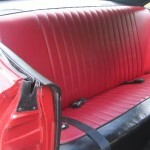 To find your own Classic Car or to see sell your Classic Car, see the listings in Classics for Sale. 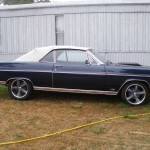 This entry was posted in Fairlane, Ford and tagged Galaxie, GT, GTA, Squire, XL. Bookmark the permalink.